It's summer and we are done with fooling around cleaning the closets. So this will be my last post of closet therapy this year. Previous posts here. More next year. If you gained five pounds over the winter and your spring clothes don't fit, lose the five pounds. Or next year it will be 10 pounds. Deal with the matter while it can still be addressed with a short-term wacky diet like a juice cleanse. I have this man to thank for a net loss of three pounds last month. This is Michael Kors, not Karl Lagerfeld. (Karl looks more like Dracula.) Michael made a tomato red sheath dress, which I found in a thrift store last year and could not wear this year without the assistance of special undergarments. Three pounds did the job. Thank you Michael. Since I did not follow my own advice last year, I have a few more pound to go. 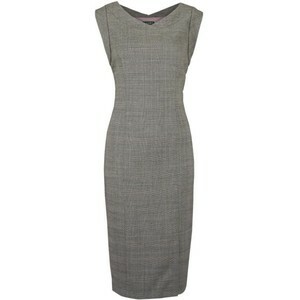 And a grey sheath dress very similar to this one is getting me there. During the witching hour (any time after 6 p.m. when the nacho chips start calling my name) I go into my closet and try on this dress. At the rate I'm going, I'll get into it by November. That's a great idea. Next time I have a senseless craving I can't shake, I'll hop into my closet and try on my tightest jeans. Perfect! That's very sensibly motivating, and the grey dress is ever so stylish and well worth fitting into. Ooh, very timely. I reached for a summer denim skirt today which never fit particularly well, but today it was definitely too tight to contemplate! I agree, losing a few pounds before they become a huge problem definitely makes good sense. I was super glum because I thought I'd put on weight. I needed a new pair of jeans, and went shopping and resigned myself to a pair three sizes too big. They didn't fit, and then ended up buying three sizes down again - in my normal size afterall! Sometimes it's all in our heads, but definitely something of a sluggish awakening when the sun comes out! 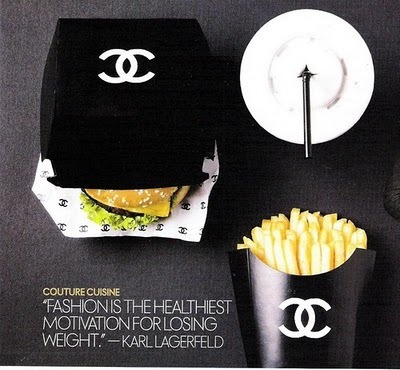 my skinny jeans always motivate me to eat right!